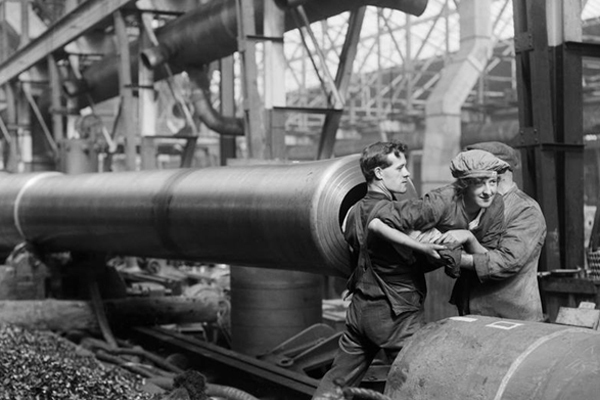 Women’sWork100 :: Great War Dundee - This is the story of the 30,490 men that left Dundee to fight in the First World War and of the people left at home. Great War Dundee is pleased to promote this project by Imperial War Museums. 2018 marks the end of the international commemorations of the First World War. Since 2014, events and activities around the globe have connected people with the impact of 1914-1918: on the world, nations, communities and individuals. The role of women is a story that is yet to be fully told. In Spring 2018 the First World War Centenary Partnership, led by IWM, will present WomensWork100. This international programme of exhibitions, events, activities, creative responses, personal stories and digital resources will recognise and celebrate the working lives of women during the First World War and beyond showing how women, often unknowingly, pressed for progress in their working lives, against the backdrop of the struggle for female suffrage. IWM is inviting organisations across the Centenary Partnership to take part in #WomensWork100. As well as offering a unique set of digital resources, IWM will run a vibrant digital campaign and present Partnership events across the country, from 6 February 2018 to International Women’s Day on 8 March 2018. Find out more at WomensWork100.